November saw the Brazilian Intellectual Property Office opening a public consultation for the Draft on the ‘Normative Instruction’ that will establish the conditions for registration of Geographical Indications (GIs). This move aims to provide ‘transparency to the analysis and examination procedures’. Moreover, INPI adds that it is important to hear suggestions from users. Comments and suggestions are open to anyone and they can be submitted until December 6, 2018 to consultapublicaig@inpi.gov.br. If you want to put your thoughts forward, here you can find the way to do it (a form available online). The Draft of the ‘Normative Instruction’ is available here (in Portuguese). Talking about GIs in Brazil, in October two new GIs were granted, both in the agricultural sector. 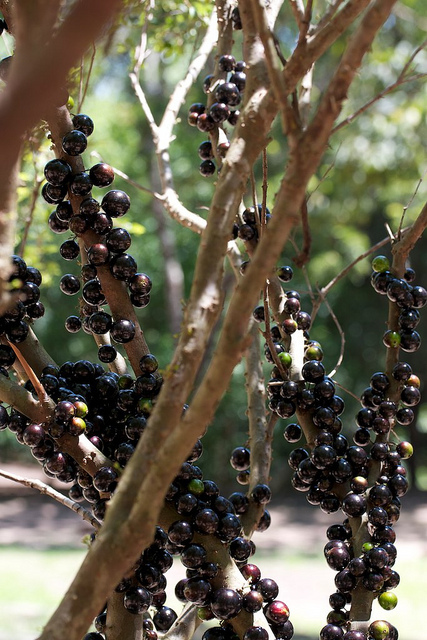 23 October 2018 an Indicação de Procedência (indication of source) was granted to products derived from jabuticaba, located in the municipality of Sabará. Products represented under this GI would be liqueur, jelly, sauce, crystallized bark and jam. Sabará is known for the production of jabuticaba derivatives. Jabuticada (Myrciaria cauliflora) is a seasonal fruit, a type of berry, native from Brazil. The city has been performing the Jabuticaba Festival of Sabará for more than twenty-five years. The derivatives come from traditional recipes (from generation to generation) which is ‘considered a strong element of cultural manifestation of who resides in the municipality’. 26 October 2018, a Denomination of Origin was granted to bananas of the region of Corupá. The Association of Banana Growers of Corupá (Asbanco) in Brazil, made this application back in February 2018. While they wished to obtain the certification by the Banana Day celebration on the 18th April, they still managed to obtain it in 2018. The bananas grown in the region of Corupá claim to be the ‘sweetest in the country’. Brazil recognizes two types of GIs: Indicação de Procedência and Denominação de Origem. The latter has a strong link with the regions as it recognizes the name of a country, city or region whose product or service has certain specific characteristics thanks to its geographical environment, including natural and human factors. An Indicação de Procedência does not require all links with the region (extraction, production and manufacture) but just one will suffice. Moreover, the specific characteristics due to their geographical environment be it natural or human factors are not required. Have you heard of TMview? This is a common online trade mark information platform. The platform, a free of charge tool, makes trade mark data (registration and application) widely available and easily accessible to all interested parties. The platform is used in the EU and in the ASEAN region. Talking about views..this is my view! The European Union Intellectual Property Office (EUIPO) in the EU administers the platform. It has operated since April 2010 and contains information from all of the EU national IP offices, the European Intellectual Property Office (EUIPO) and a number of international partner offices outside the EU. In Latin America, Mexico was the first country to participate, followed by Brazil, Colombia and in October 2017, Peru. These national IPOs made its trade mark data available to the TMview search tool. Aside from TMview, there is also DesignView which operates as TMview, i.e., a platform that share data for industrial designs (application and registration) – Peru participates in this platform. The new participant is Costa Rica, joining both the TMview and DesignView and so, it has now made available its trade mark (278,627 of them) and industrial design (1,700) data available to the EUIPO search tools. The number of trade marks in TMview is close to reach 50 millions (as of 06 November 2018).